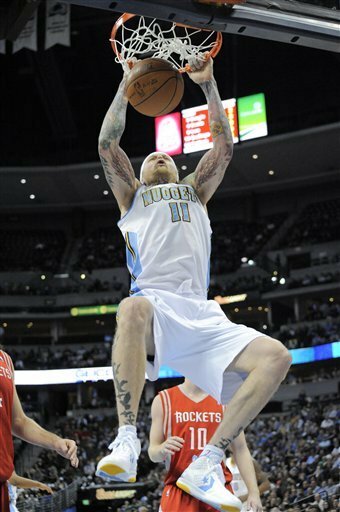 Recently Chris Andersen took flight in a more Nuggets appropriate colorway of the Converse Pro Leather 2k11. Check him out below in flight, I know this because I can see the wings tattooed on his arms! Thanks for checking out the blog and remember to follow along on twitter @TheConverseBlog and on Facebook too. Happy 62nd Birthday to Dr. J!!! !